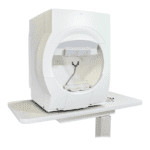 The Humphrey ZEISS 750 perimeter includes all of the previous features plus head tracking with automatically aligns the patients head during the test, keeping the eye aligned in the trial lens. 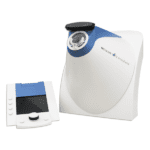 ZEISS FDT 710 Visual Field with patented Welch Allyn frequency doubling technology provides the eye care professional with a rapid, clinically verified and affordable method for the detection of visual field loss. Designed around an ingenious central 30° direct projection system combined with other unique and patented construction elements, the Octopus 301 is ready to support future developments and sets the trend in perimetry for the next decade. 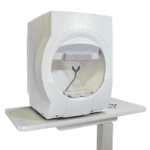 Made for routine screening and threshold examinations, the Octopus 301 is the ideal fit for every office environment. 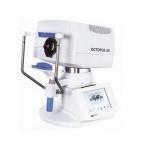 With an attractive price tag, the Octopus 301 also meets with a tight budget. However, in case of a more demanding application, the standard Octopus 301 can be upgraded at any time with all the options and features of the Octopus 311. 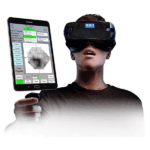 The OCULUS Easyfield C is designed for use as a visual field screener and a threshold perimeter for immediate re-examination of any abnormal findings. Full compliance with Goldman Standards makes the Easyfield C ideal for all common examinations of the central field of vision up to 30°. The Easyfield C has an adjustable double chin rest and eye shields for maximum patient comfort. 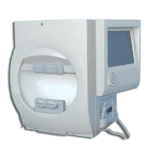 Optopol is a leading manufacturer in the area of Perimetry since 2001 with over 3,500 units in 80 countries around the world. 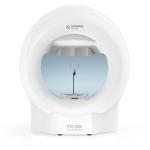 The new third generation of PTS perimeters offers the best value and feature combination available in the eye care industry today. 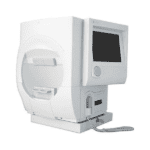 The Humphrey ZEISS HFAII 740i from has been the gold standard of perimetry for many years. Having the widest range of testing strategies out of all the 700 series units, the 740i also includes head tracking and vertex monitoring to ensure the results are precise. Along with Kinetic testing, the 750i provides automatic pupil measurement and blue-on-yellow swap. Another great feature is the patient hard drive that allows the storage space of 40,000 patient files and gives the tech the ability to access prior visits. SITA-FAST can be pre-set or chosen at the time of the test. Includes GPA and HFA Net Pro. 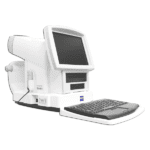 Validated by more than 30 years of research, design and clinical experience, the Humphrey ZEISS 750 Field Analyzer is the accepted standard of care in glaucoma diagnosis and management. 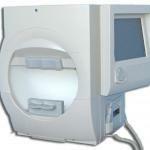 With over 65,000 installed units worldwide, the HFA is the premier automated visual field analyzer. The Zeiss Humphrey 745 Perimeter is loaded with features including 19 test patterns, and user designed custom testing capabilities with a testing range out to 90 degrees. The 745 Perimeter includes an integrated hard drive, eliminating the need for an external computer. 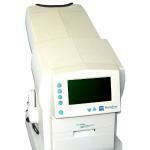 With a pre-owned Zeiss Humphrey Field Analyzer HFA 745i, ophthalmologists can diagnose early-stage glaucoma in as little as four to six minutes using the SITA-SWAP software. 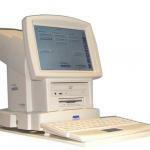 The Humphrey ZEISS 720 Perimeter, This Gold Standard Field Analyzer utilizes a computerized silent projection system to examine the patients visual field. Testing is performed with eleven test patterns with static threshold and screening strategies out to 90 degrees. 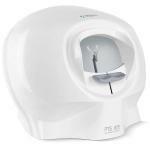 A patented aspherically shaped bowl provides a compact ergonomic design to increase patient comfort. 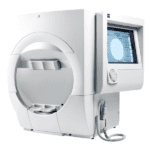 The Humphrey ZEISS HFA 740 visual field in addition to the model 720 features, the Humphrey 740 perimeter includes 19 test patterns, user designed custom testing capability with a testing range out to 90 degrees. 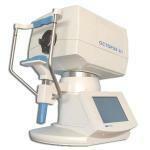 The ZEISS Humphrey Matrix Perimeter utilizes Welch Allyn Frequency Doubling Technology. 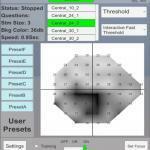 It represents a significant breakthrough in visual field testing by combining early glaucoma detection capabilities, tools to characterize glaucoma and basic glaucoma management tools.